Roland DGA Corporation, a leading provider of advanced dental milling machines and other innovative digital devices, announced that its DGSHAPE DWX-52DCi dental mill has been named a 2018 WOW! Product by the Journal of Dental Technology (JDT), a magazine published by the National Association of Dental Laboratories (NADL). Products or services are nominated for WOW! award consideration based on their ability to “save time, money and improve the quality of work” for users. JDT received nearly 100 product nominations in this year’s competition, however, only five, including the DWX-52DCi, were honored with WOW! Awards. 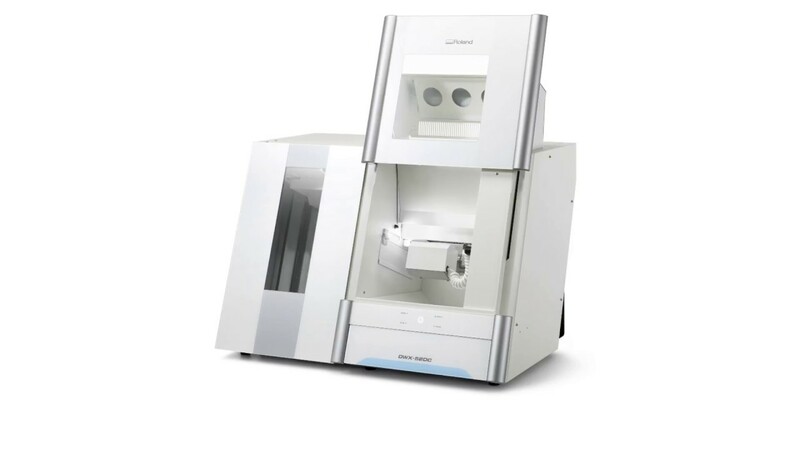 Developed by DGSHAPE Corporation, a wholly-owned subsidiary of Hamamatsu, Japan-based Roland DG, the DWX-52DCi is a 5-axis dry mill uniquely engineered to maximize precision, ease-of-use, efficiency and productivity for dental laboratories. Introduced in 2018, it incorporates cutting-edge features, including a 6-slot automatic disc changer and 15-station automatic tool changer, that enable labs to produce crowns, bridges, inlays and onlays, copings, abutments, and other dental prosthetics faster and more cost-effectively than ever before. The DWX-52DCi also supports new DWINDEX performance visualization software that provides useful reporting on operation time, materials used and other deliverables. A Virtual Machine Panel (VPanel), allows users to quickly configure settings for up to four machines from a single computer for high-volume production, while also providing automatic calibration and other maintenance functions. In addition, the DWX-52DCi boasts an open-architecture design that gives labs the freedom to work with their choice of the latest CAD/CAM software, scanners and materials. More on the dental prosthetics market in the U.S. can be found in a series of reports published by iData entitled the U.S. Market Report Suite for Dental Prosthetics. The full report suite on the U.S. market for dental prosthetics includes crowns and bridges, inlays and onlays, veneers, dentures and denture teeth. The iData series on the market for dental prosthetics covers the U.S., Japan, South Korea, Australia, China, India, Argentina, Mexico, Brazil and 15 countries in Europe including Germany, France, the United Kingdom (U.K.), Italy, Spain, Benelux (Belgium, Netherlands and Luxembourg), Scandinavia (Finland, Denmark, Sweden and Norway), Portugal, Austria and Switzerland. Reports provide a comprehensive analysis including units sold, procedure numbers, market value, forecasts, as well as detailed competitive market shares and analysis of major players’ success strategies in each market and segment. To find out more about dental prosthetics market data, register online or email us at [email protected] for a U.S. Market Report Suite for Dental Prosthetics brochure and synopsis.